Spring is a flu season with temprature in such a unstable state. I was hit by flu this past weekend. I had a pretty heavy head until now, and my nose nearly going nuts. To give it specific, I got a fever that is 38.6, not very high but is enough for me. So I was heard that if there is not anything wrong and is just a pure fever, then we should not always go to the hospital and take the antibiotic, that's what the doctor tipically tells you to do. In fact antibiotic is not very good for health and totally unnecessary in some cases, but we now can seldom meet any doctors that really cares for you. So we need to take care of ourselves. I google how would I do to make a little better. So I find a great one. Giner soup with a little red sugar in it. Pefect soup for fighting flu because it can helps you to drain your sweat out, that's the key point when we need to cure the fever due to catching cold. 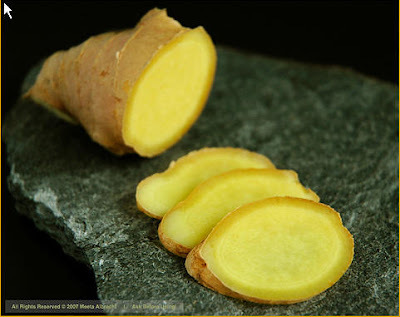 It's extremly impotant to remember that ginger soup is for cold type fever only, not for heat type fever, most happen in summer. That's two totally different thing.